Thread: Pristontale Chat on Discord! 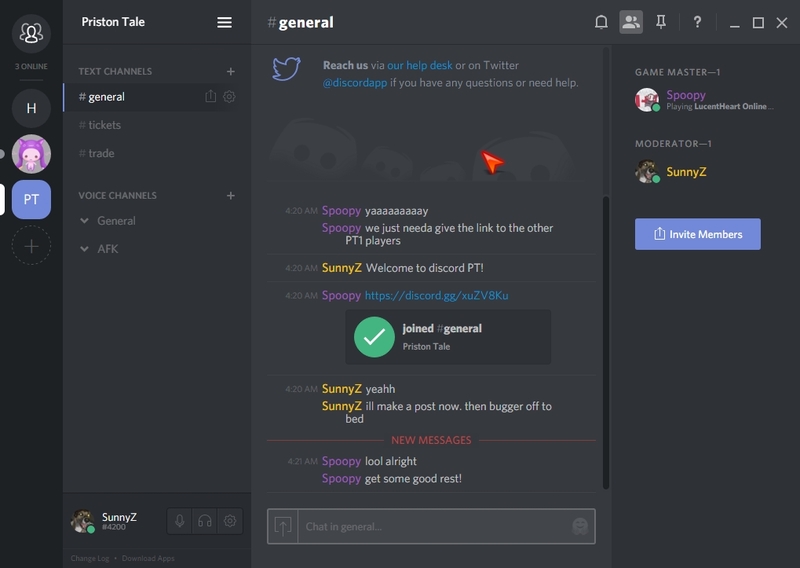 So, we now have subagames on Discord, a really nice and easy to use chat app for gamers. Please, Main characters only, no mules. You must provide your in game name and a picture of your character upon entering. Talk To Us About Pristontale On Discord! Last edited by SunnyZ; January 20th, 2018 at 11:30 AM. Doing nothing is hard, you never know when you're done! Even respond or see the messages on that page? Yeah, everyone's very active, including the GM.